Instagram rolled out an update that brought the 3D Touch functionality, seen on the latest Apple iPhone 6s series, to Android phones. Instagram is planning to bring the 3D Touch feature of ‘Peek and Pop’, currently exclusive to Apple iPhone 6s series, to Android as well. A report on The Verge had noted that the feature had gone live with a new update on Android, but it was later pulled back by Instagram. We tested out the APK file with the latest Instagram update (v7.13.0) and found that the 3D Touch style functionality is indeed live on the app, atleast in the APK version. 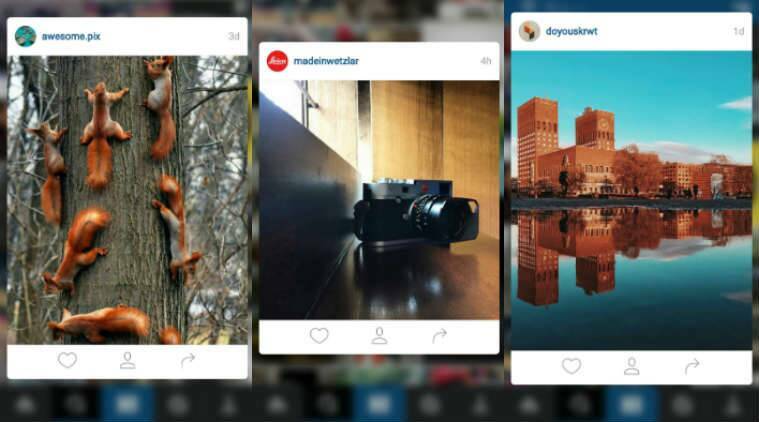 A few pointers to keep in mind about this 3D Touch on Instagram on Android. First, Instagram users can access 3D Touch features only inside the app and not from the homescreen. Also Android users need to long press to access the feature. The lack of pressure-sensitive screens on Android makes the whole experience less exciting compared to latest iPhones. The Instagram update version 7.13.0 for Android allows users to peek at photos from a grid when they are discovering new pictures or searching for a particular hashtag. The peek feature lets users see the pictures in nearly full-resolution and Instagram videos play from within peek window. Once a picture pops up, users can slide their finger to like the photo or forward the photo using Instagram Direct. It also offers option to follow an user or leave comment. Sliding the thumb or finger away from the button leaves the card and takes you back to the place you started. While Instagram’s new additions aren’t anything revolutionary considering their limited use case, its interesting to see Instagram implement a feature on Android that is currently Apple exclusive.